All organizations that undertake the design of solutions will be limited by the constraints of the organization. These are many and varied, from the basic utility and warranty, to the ethics and principles of the organization. 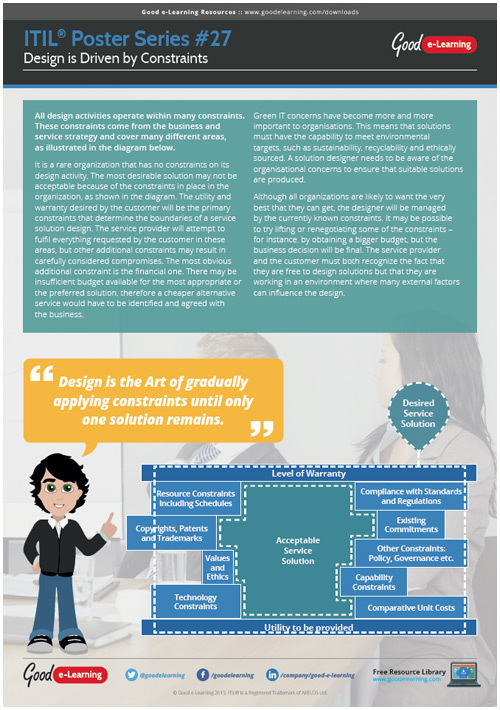 In this download, we show the potential impact of these on solution design.